Through its win-win approach, Healing Our World illustrates how the rules of social interaction which we learned as children hold the secret to universal harmony and abundance. Visit Ruwart.com to sign up for Dr. Ruwart's blog. 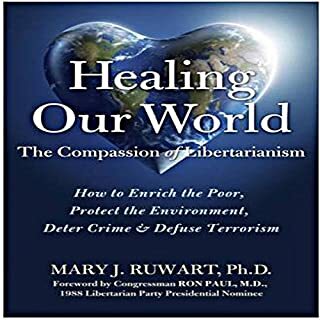 With many examples on every topic, this is the best book on this subject of libertarians that I have read/listen to/Or lecture on. This should be the number book shared if you want to help spread libertarian ideas.